What Is the Most Effective Liquid Bait for Wasp Traps? 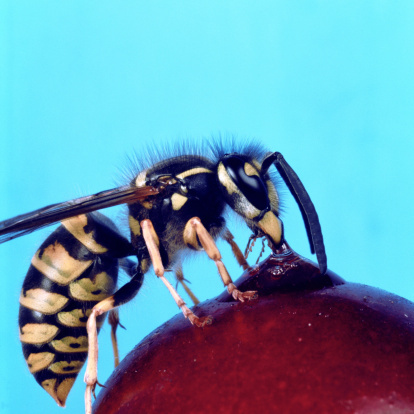 Wasps are an insect that offer many benefits to the environment. They eat many kinds of harmful insects and help pollinate flowers. However, wasps are also highly aggressive towards humans and can sting many times. Many people are so allergic to wasp stings that they can even die. Using effective liquid bait in your wasp trap can help keep wasps from becoming a problem. There are many kinds of liquid bait to attract wasps. Once you have your wasp trap installed, consider the time of the year. If it is spring, wasps will generally be looking for foods high in protein because spring is the month when they are feeding grubs and making honey. This is when it may be a good idea to use something like hamburger. Cook some hamburger meat and carefully collect the grease. Let it cool, and then pour it into your wasp trap. This can be done with any kind of meat grease. The grease has the added benefit of weighing the wasps down so they can't fly. Wasps will also be looking for any strong source of sugar. Root beer, fruit juices, sugar water, and colas all make excellent liquid wasp trap baits. The wasps will smell the sugar and come right for it as quick as they can. You can also use diluted jams, jellies, and fruits to make effective liquid bait. Simply pulp the fruit as much as you can and add two parts water for one part fruit. This will attract wasps in no time. Once you have good wasp bait, you can add a few things to make your wasp traps more effective. Grease and jam will stick to the wasp in a way that weighs them down more efficiently than thinner liquids. Adding a little dish soap to the liquids in your trap will help thicken the liquid and make it more difficult for the wasps to escape. The soap will stick to their wings and their legs and make it more difficult to fly. Only add a small amount of dish soap to avoid overpowering the smell of the bait. Less than a teaspoon should be more than enough. A problem with many wasp traps is that they will also attract other insects, especially honey bees. 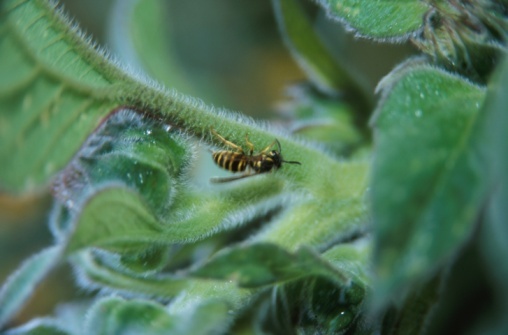 Honey bees are much less aggressive than wasps and are important in pollinating crops. Honey bees often end up finding their way into wasp traps. To avoid filling your wasp trap with honey bees, smear a little vinegar around the opening of your wasp trap. Honey bees are typically repelled by the smell of vinegar. Wasps, however, are not. This will keep the honey bees out and the wasps in the trap.